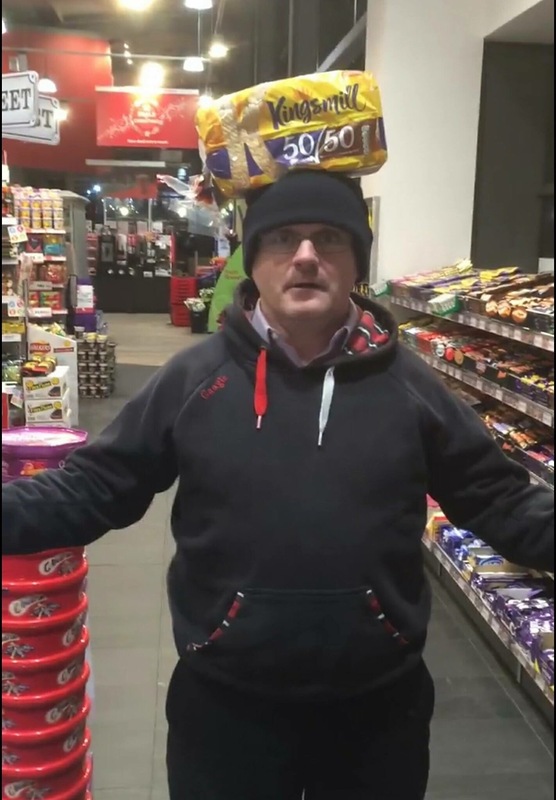 Prominent SF MLA Barry McElduff has been captured posing with a ‘Kingsmill’ loaf of bread on his head, in a blatant attempt to mock the IRA murder of 10 innocent Protestants 42 years on from the sectarian slaughter. The appalling video was released yesterday, timed to co-incide with the anniversary of the Sinn Fein/IRA terror attack. McElduff was imprisoned following the abduction of a Protestant woman in 1992. She was interrogated by 3 masked IRA terrorists inside Sinn Fein offices. 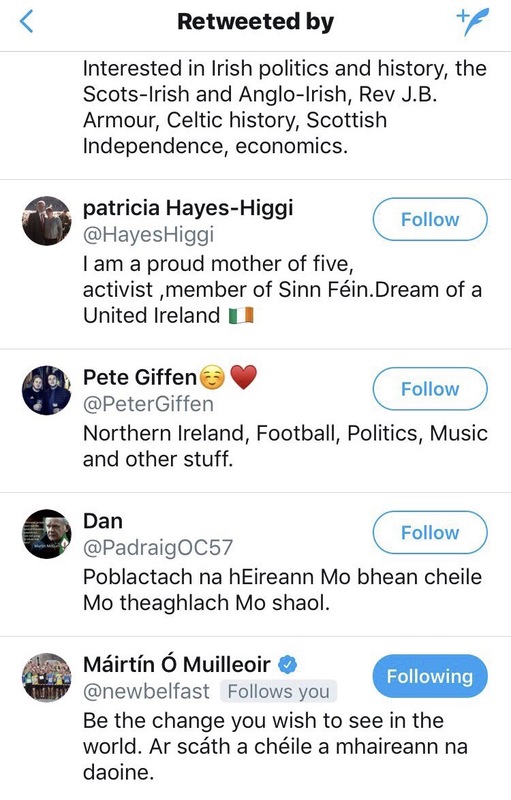 Despite their high profile ‘Stand Up Against Sectarianism’ campaign, Sinn Fein have failed to censor their MLA and appear to be supporting the sickening mocking of the IRA’s murder of 10 Protestants. A number of prominent SF members have shared the horrific video, including former finance Minister Mairtin O’Mullieoir and the party’s Bangor branch. It is hoped this scandalous taunting of the victims of IRA terror will not go without coverage in the mainstream media, nor be suppressed with some clever Sinn Fein spin designed to deflect from this nakedly sectarian glorification of mass murder. 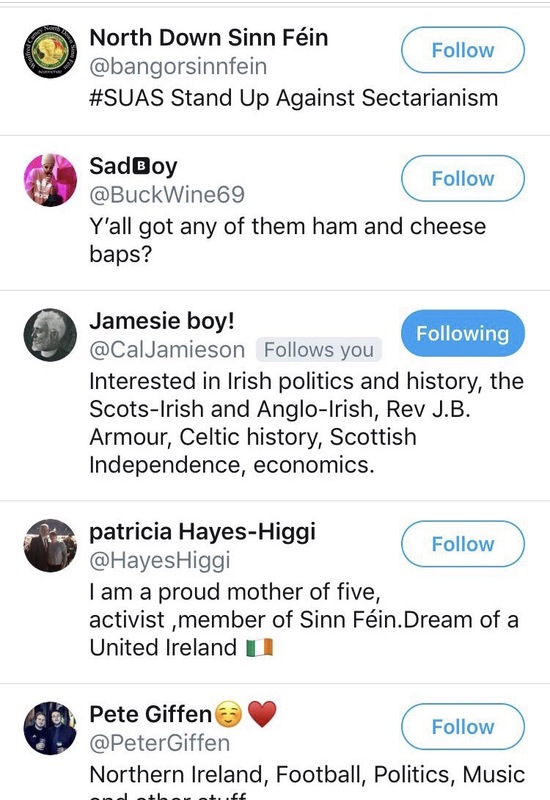 138 Responses to "NEWS: Sinn Fein MP mocks victims of Kingsmill massacre "
Nice post. I was checking continuously this blog and I am inspired! Extremely helpful info specifically the ultimate phase 🙂 I care for such information much. I used to be looking for this particular information for a very lengthy time. Thanks and good luck. Hello, i think that i noticed you visited my website so i got here to “go back the favor”.I am trying to in finding issues to improve my site!I assume its good enough to make use of some of your concepts!! I will immediately clutch your rss as I can not find your e-mail subscription link or e-newsletter service. Do you’ve any? Please permit me understand in order that I may subscribe. Thanks. Can I just say what a reduction to find someone who actually knows what theyre talking about on the internet. You undoubtedly know the right way to convey a difficulty to light and make it important. More folks have to read this and perceive this aspect of the story. I cant consider youre not more popular since you positively have the gift. Thank you, I’ve just been looking for information about this topic for a long time and yours is the greatest I’ve discovered so far. However, what concerning the bottom line? Are you positive about the supply? Do you mind if I quote a few of your posts as long as I provide credit and sources back to your website? My blog is in the very same niche as yours and my visitors would genuinely benefit from some of the information you present here. Please let me know if this okay with you. Thank you! Pretty portion of content. I simply stumbled upon your web site and in accession capital to say that I get actually loved account your weblog posts. Any way I’ll be subscribing on your feeds and even I achievement you access persistently rapidly. The following time I read a weblog, I hope that it doesnt disappoint me as much as this one. I imply, I know it was my option to learn, but I actually thought youd have one thing fascinating to say. All I hear is a bunch of whining about something that you would fix should you werent too busy looking for attention. Excellent post. I was checking constantly this blog and I am impressed! Very helpful info specifically the last part 🙂 I care for such info much. I was looking for this certain information for a very long time. Thank you and best of luck. Hiya, I’m really glad I have found this information. Today bloggers publish only about gossips and internet and this is actually annoying. A good site with interesting content, this is what I need. Thanks for keeping this website, I will be visiting it. Do you do newsletters? Can not find it. I have read a few just right stuff here. Definitely price bookmarking for revisiting. I wonder how so much attempt you set to make any such magnificent informative website. Hiya, I’m really glad I have found this information. Today bloggers publish just about gossips and net and this is actually irritating. A good website with exciting content, this is what I need. Thank you for keeping this site, I will be visiting it. Do you do newsletters? Can not find it. Have you ever thought about adding a little bit more than just your articles? I mean, what you say is fundamental and all. Nevertheless think about if you added some great pictures or video clips to give your posts more, “pop”! Your content is excellent but with images and video clips, this site could definitely be one of the best in its field. Fantastic blog! Hello my friend! I wish to say that this post is amazing, great written and come with almost all important infos. I’d like to look more posts like this . Hiya, I am really glad I’ve found this information. Nowadays bloggers publish just about gossips and internet and this is actually frustrating. A good website with interesting content, that’s what I need. Thank you for keeping this web site, I will be visiting it. Do you do newsletters? Can not find it. A powerful share, I just given this onto a colleague who was doing a little analysis on this. And he actually purchased me breakfast because I found it for him.. smile. So let me reword that: Thnx for the treat! However yeah Thnkx for spending the time to discuss this, I feel strongly about it and love studying more on this topic. If potential, as you turn out to be expertise, would you mind updating your blog with more details? It is highly helpful for me. Massive thumb up for this weblog submit! I together with my friends came following the nice helpful hints on the website and then immediately came up with a horrible suspicion I had not expressed respect to the blog owner for those strategies. My ladies had been totally happy to learn all of them and already have clearly been taking advantage of them. Thanks for being indeed kind and also for considering variety of beneficial resources most people are really needing to learn about. My sincere regret for not expressing appreciation to you earlier. of all colleagues about this post, while I am also eager of getting knowledge. Hello! This is my 1st comment here so I just wanted to give a quick shout out and tell you I truly enjoy reading your posts. Can you suggest any other blogs/websites/forums that go over the same topics? Appreciate it! very good article… but what can I say… I hesitate a whole lot and don’t manage to get anything done. for this fantastic read!! I definitely loved every bit of it and i also have you book-marked to see new information in your web site. I will right away seize your rss as I can not to find your email subscription link or e-newsletter service. Do you’ve any? Kindly permit me understand in order that I could subscribe. Thanks. Very nice post. I simply stumbled upon your weblog and wished to mention that I’ve truly loved browsing your weblog posts. After all I will be subscribing to your feed and I am hoping you write again soon! I simply needed to appreciate you all over again. I am not sure the things that I might have used without the actual basics documented by you over this industry. Previously it was a depressing problem in my opinion, however , taking a look at the specialized avenue you handled that forced me to weep with joy. I am happy for this assistance and even pray you realize what a great job that you are accomplishing educating many people via a site. I am certain you have never met any of us. Very good blog you have here but I was curious if you knew of any community forums that cover the same topics discussed in this article? I’d really love to be a part of online community where I can get suggestions from other experienced individuals that share the same interest. If you have any suggestions, please let me know. Appreciate it! I actually wanted to post a quick comment to appreciate you for all the stunning pointers you are placing here. My extended internet search has at the end of the day been honored with awesome suggestions to talk about with my family members. I would say that we visitors are rather blessed to dwell in a superb community with very many lovely individuals with helpful strategies. I feel very much fortunate to have discovered the website page and look forward to plenty of more fun times reading here. Thanks once again for all the details. I want to show my thanks to this writer for rescuing me from such a challenge. After searching throughout the the net and meeting principles that were not productive, I assumed my entire life was done. Living without the solutions to the problems you’ve resolved by means of your write-up is a crucial case, and ones that would have adversely affected my career if I hadn’t discovered the website. The capability and kindness in taking care of almost everything was excellent. I’m not sure what I would have done if I had not come upon such a subject like this. I am able to at this moment look forward to my future. Thanks for your time so much for the specialized and sensible help. I will not think twice to propose your web blog to anybody who would need assistance on this topic. Extremely useful info particularly the last part 🙂 I take care of such info much. You managed to hit the nail upon the top as well as outlined out the entire thing without having side-effects , other folks could take a signal. Aw, this was a very nice post. In concept I want to put in writing like this moreover – taking time and actual effort to make an excellent article… but what can I say… I procrastinate alot and by no means seem to get one thing done.